You can select either one to copy/keep, but if you want to save both (with a number at the end of the duplicate file), select both of the file options and click Continue. 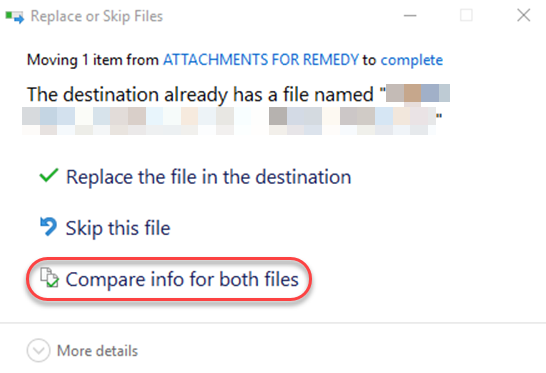 When you get done, both files will be in the destination location. I feel like this is a bit more cumbersome than the old method, but the functionality is the same. Great… but how do I make that the default every time so I don’t have to open a second dialog box and click multiple checkboxes every time?